MADISON, N.J., April 6, 2017 /PRNewswire/ -- Quest Diagnostics (NYSE: DGX), the world's leading provider of diagnostic information services, today awarded Supplier Excellence Awards to five companies at its 2017 Supplier Forum. Supplier Excellence awards recognize world class products, systems, or services that provide consistent and reliable performance; companies that develop and implement novel solutions to move the business forward; individuals who step up to the challenge and excel in creating a proactive partnership; and organizations that drive positive change in the market. Five companies were recognized for their contributions to Quest while displaying behavior consistent with the company's values of Quality, Integrity, Innovation, Accountability, Collaboration and Leadership. The awards were given during a meeting which brought together senior executives from over forty key suppliers. "Driving operational excellence is a foundational element of our two-point strategy in addition to accelerating growth, and we look to our partners to help us enhance the customer experience and drive efficiencies," said Jim Davis, Executive Vice President, General Diagnostics. "The contributions of our suppliers and partners enable us to deliver on the promise of empowering better health with diagnostic insights." Inpeco - operates worldwide, providing best in class comprehensive automation and traceability solutions for clinical laboratories. Based in Lugano, Switzerland. Tata Consultancy Services –delivers strong capabilities in enterprise technology transformation services while applying business intelligence to catalyze change and deliver results. Based in New York, NY. Hamilton Robotics - specializes in the development, manufacturing and customization of precision measurement devices, automated liquid handling workstations, and sample management systems. Based in Reno, Nev.
Hologic Inc. - develops, manufactures and supplies diagnostic products, medical imaging systems and surgical products. Based in Marlborough, Mass. Beckman Coulter - develops clinical diagnostic products that help advance and optimize the clinical laboratory. 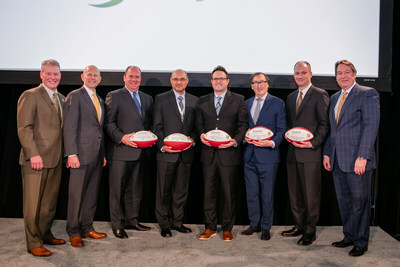 Based in Brea, Calif.
"Our winners of the Supplier Excellence Awards are helping us take our performance higher," said Bill Burg, Vice President and Chief Procurement Officer, Quest Diagnostics. "We deeply value our relationships with them and their contributions drive innovation and propel health forward."